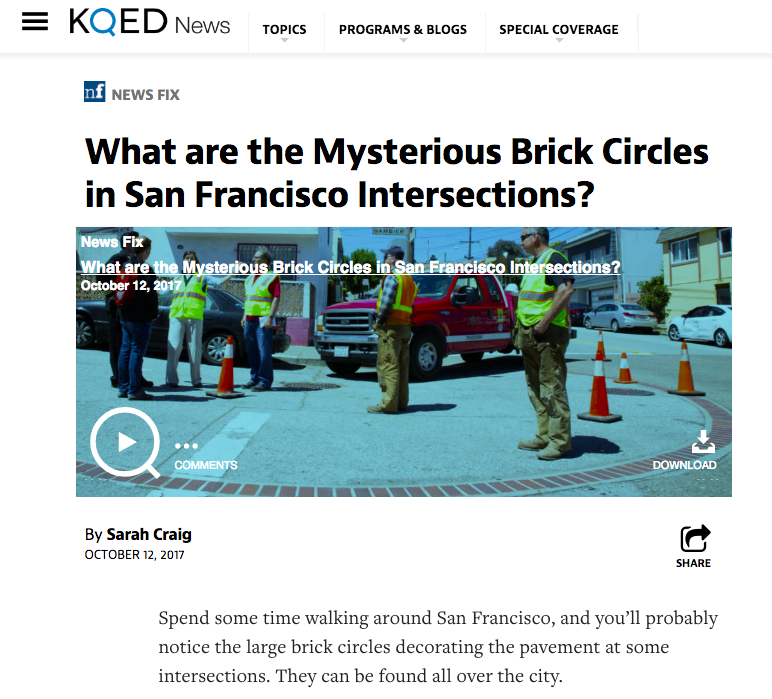 Spend some time walking around San Francisco, and you’ll probably notice the large brick circles decorating the pavement at some intersections. They can be found all over the city. Turns out, those circles date back to the mid-1800s, and they mark huge underground tanks that hold water to fight fires. They’re called cisterns. There are more than 170 cisterns scattered throughout San Francisco. And some hold as much water as two backyard swimming pools! Listen to the story on the Bay Curious podcast or read more here.